DARMSTADT, Germany, Dec. 19, 2017 /PRNewswire/ — Merck, a leading science and technology company, today announced that the Intellectual Property Office of Singapore has issued a "Notice of Eligibility for Grant" for Merck’s patent application covering the company’s CRISPR technology used in a genomic-integration method for eukaryotic cells. "Singapore’s notice of patent allowance for Merck’s CRISPR integration technology is yet another reinforcement of our intellectual property," said Udit Batra, Member of the Merck Executive Board and CEO, Life Science. "We look forward to receiving additional grants for similar patent applications in several other countries as we collaborate with the global scientific community to find new treatments for diseases." CRISPR genome-editing technology, which allows the precise modification of chromosomes in living cells, is advancing treatment options for some of the toughest medical conditions faced today. CRISPR applications are far-ranging — from identifying genes associated with cancer and rare diseases to reversing mutations that cause blindness. 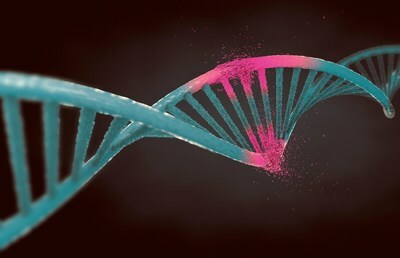 Once issued, the Singapore patent will extend the protection of Merck’s CRISPR integration technology into Singapore, further strengthening the company’s patent portfolio. Merck also has patent filings for its insertion CRISPR method in the U.S., Brazil, China, India, Israel, Japan and South Korea. In June 2017, Merck was awarded its first CRISPR patent by the Australian patent office. That award was followed by related patent awards by European and Canadian Patent Offices. With a 12-year history in the genome-editing field, Merck was the first company to offer custom biomolecules for genome editing globally (TargeTrona�? RNA-guided group II introns and CompoZra�? zinc finger nucleases), driving adoption of these techniques by researchers all over the world. Merck was also the first company to manufacture arrayed CRISPR libraries covering the entire human genome, accelerating cures for diseases by allowing scientists to explore more questions about root causes. Merck is a leading science and technology company in healthcare, life science and performance materials. Around 50,000 employees work to further develop technologies that improve and enhance life — from biopharmaceutical therapies to treat cancer or multiple sclerosis, cutting-edge systems for scientific research and production, to liquid crystals for smartphones and LCD televisions. In 2016, Merck generated sales of a��15 billion in 66 countries. Founded in 1668, Merck is the world’s oldest pharmaceutical and chemical company. The founding family remains the majority owner of the publicly listed corporate group. Merck holds the global rights to the "Merck" name and brand. The only exceptions are the United States and Canada, where the company operates as EMD Serono, MilliporeSigma and EMD Performance Materials.